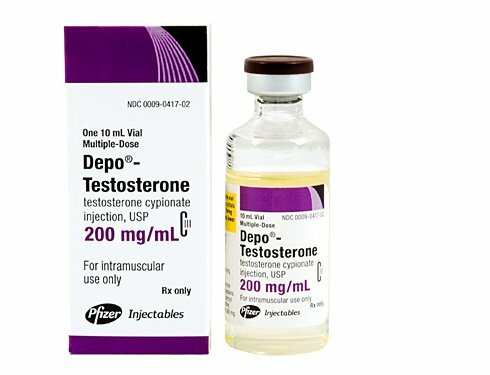 Pfizer Depo-Testosterone Cypionate 200 MG/ML 10 ML Vial is indicated for use in hormone replacement therapy for males who are experiencing symptoms and conditions associated with an absence or deficiency endogenous testosterone. It is oil-soluble and widely used for intramuscular injections to increase androgen levels, as directed by your testosterone replacement therapy doctor. Detailed preparation and usage instructions for the patient accompany this product, along with contraindications and other important information. As one of the world’s leading biopharmaceutical companies, Pfizer has been producing innovative health care products for more than 150 years, and patients can use products such as their injectable depo-testosterone with confidence in its quality and effectiveness. 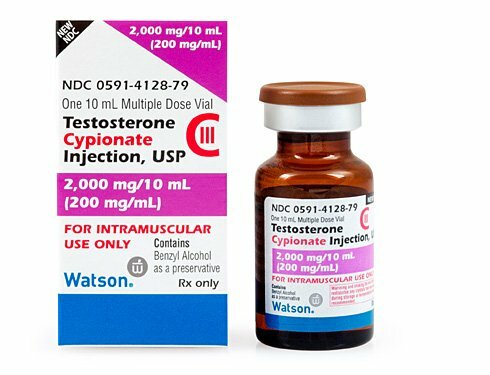 Watson Testosterone Cypionate 200 MG/ML 10ML Vial is manufactured by Watson Pharmaceuticals, which is now known as Activis, Inc. This global company manufactures, distributes and/or markets more than 600 quality prescription drugs in the US. Watson Testosterone Cypionate is widely prescribed by doctors for their testosterone replacement therapy patients as an effective and often more cost-effective treatment option. It is a quality medication that requires proper handling and preparation prior to being injected intramuscularly. Activis is a specialty pharmaceutical company that develops, manufactures and distributes biosimilar, brand and generic health care products; its global headquarters are located in New Jersey.